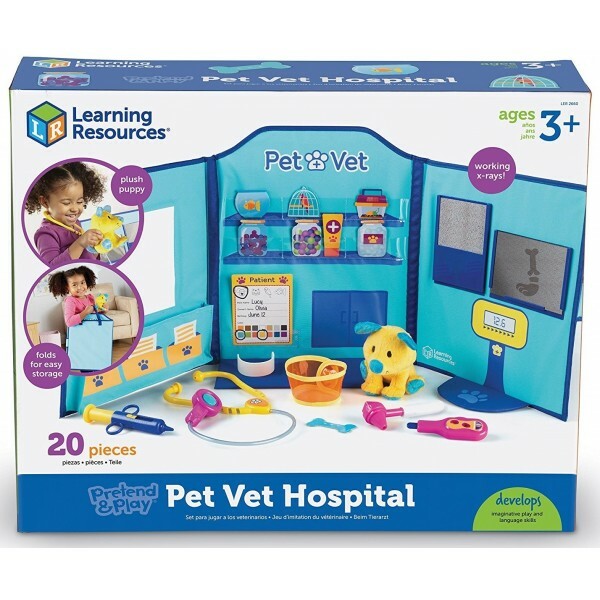 For students who love animals, Learning Resource's Pet Vet Hospital is just what the doctor ordered! 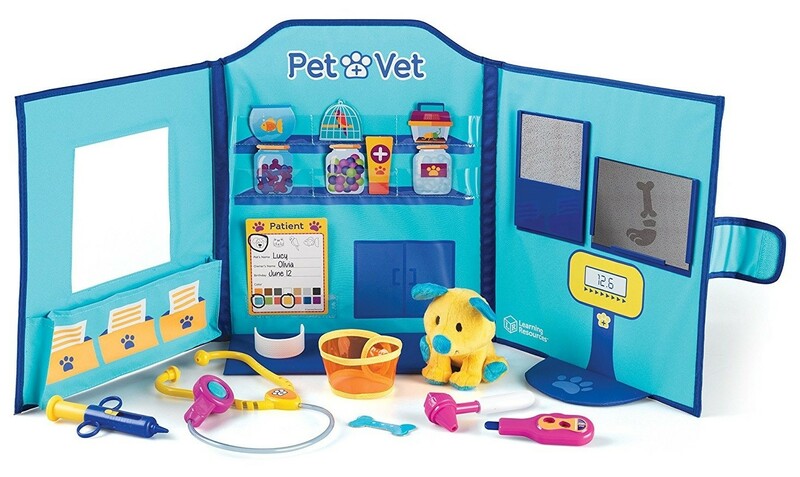 Tender loving pet care goes anywhere with our portable animal hospital; the tri-fold board with pockets stores all components neatly for fun on the go. 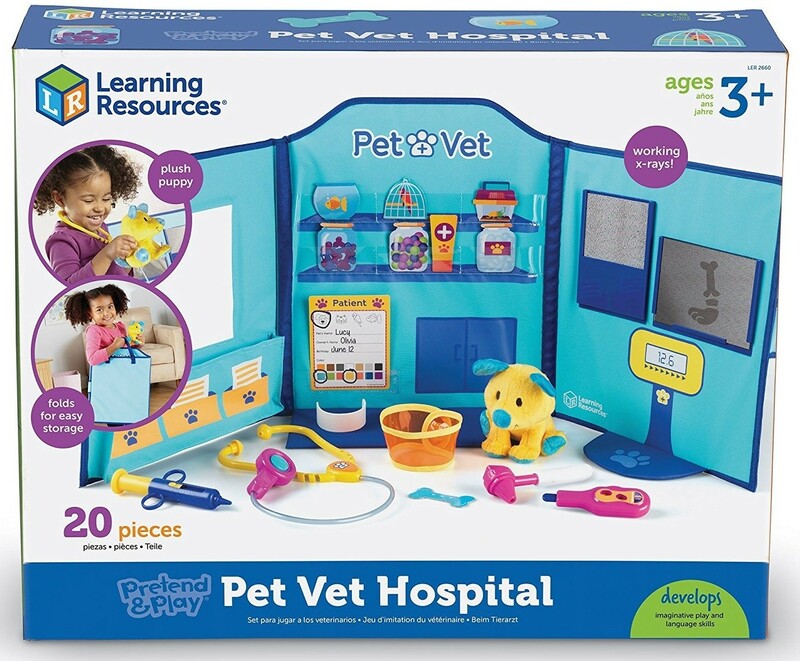 Thirty-four pieces, including vet tools, X-ray image, bandages and casts, and even a puppy patient, provide plenty of fodder for hours of imaginary play. 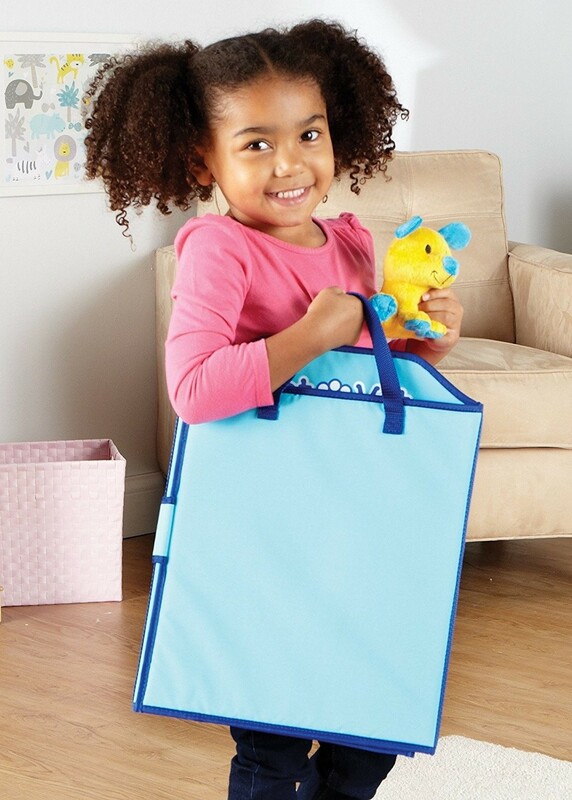 For more toys to encourage imaginative play, visit our Pretend Play Collection.